Our employees are there for you from Mon to Fri 08:00 a.m. to 05:00 p.m.! 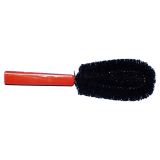 To make exterior cleaning of your vehicle more easy we offer different brushes even for the rims. up to 40kg from 11,31 € . Save 10 € coupon now! Average customer rating of 4.79 / 5 – based on 47 reviews. On this website, cookies are used to permit user-friendly design of the internet presence and optimum tailoring to your requirements, to carry out measurements of reach, to evaluate website visits for purposes of marketing and improvement and to display appropriate content and advertising. You will find details about the cookies used and the option to refuse them in our data protection notice.